Let us help you design and create a beautiful custom patio with concrete stain and textured concrete. Modern innovations in concrete mean more creativity and more ways to design a look that is uniquely yours. We can provide concrete in a wide variety of colors. Create the look of grouted tile or brick. Simulate the look of flagstones and other natural stone. Create a unique pattern that uses your own style, logo or artwork. 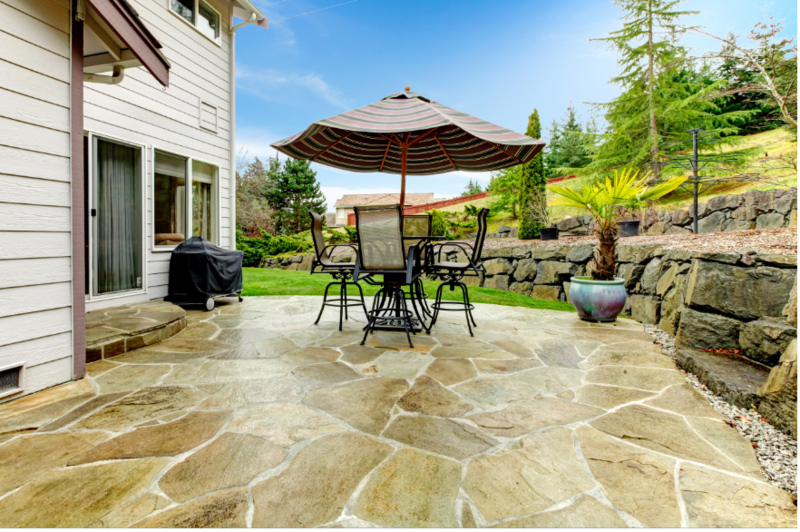 Add touches like exposed aggregate, acid wash, decorative patio concrete pattern, mosaic tiles and other elements that help make your patio, deck or porch truly one-of-a-kind. ​We are ready to make sure that you get the patio or porch that you are dreaming about! We are very excited to discuss all aspects of your patio project. Just give us a ring or send us an email to get the ball rolling. We very much look forward to receiving your call. We will be on the other end to offer great customer service.